The interesting question before the Supreme Court was the competency of the High Court to set aside plaint, in exercise of its power under Articles 226 and 227 of the Constitution of India. The judgment has born from an appeal preferred against a judgment passed by the Kerala High Court. The High Court under Articles 226 and 227 of the Constitution of India, had set aside the plaint and further proceedings initiated on the basis of the plaint and had quashed the order passed by the Munsiff Court with cost of Rs.25,000. This has been reversed by the Supreme Court, laying down the proposition of law that a petition under Article 226 or Article 227 of Constitution is not available to set aside the plaint in suit. ( JACKY Vs .TINY @ ANTONY & ORS). The dispute between the parties is essentially a landlord tenant dispute, and there are multiple proceedings pending inter se. The tenant who was the Writ Petitioner before High Court, contented before the Supreme Court that with an intention to evict him, the landlord ( Appellant before Supreme Court) filed the suit in question and got an interim order by which the tenant was injuncted from conducting any prohibited business in the shop room either directly or through someone else. By virtue of the interim order in suit, Municipal Corporation, which was made a defendant in the suit had issued a notice directing the tenant to close the business in the shop room, and he was not made a party in the suit. The tenant thereafter, moved High Court of Kerala through a Writ Petition under Article 226 and 227 to call for the original records of the suit pending before the Munsiff and to quash the plaint in the civil suit. Though the landlord questioned the very maintainability of the Writ Petition, it was negated by the High Court with following reasoning, which are quoted by Supreme Court in its Judgment. “49. There can be no doubt that though Ex.P2 and P3 orders are procured by 1st respondent against 2nd respondent, those are intended to be misused to harass petitioner. It is also clear that those orders are obtained to ensure that petitioner’s shop and the business run by him for very long period are closed down. The means and methods adopted by 1st respondent to obtain Ex.P2 and P3 orders are most undesirable and those cannot be approved by any court. 50. It is unfortunate that an argument is raised by learned counsel for 1st respondent that Ex P2 and Ex P3 orders are passed against 2nd respondent and not against petitioner and hence, petitioner has no locus standi etc. A person who has obtained an order from a court, on the basis of pleading of facts which are false to his own knowledge, without making the person who is actually targeted a party to the proceeding with the sole intention to misuse the order against him, the former shall not be heard to say that the latter has not locus standi to challenge such order, only on the ground that the order is passed against some other person and not the targeted person. 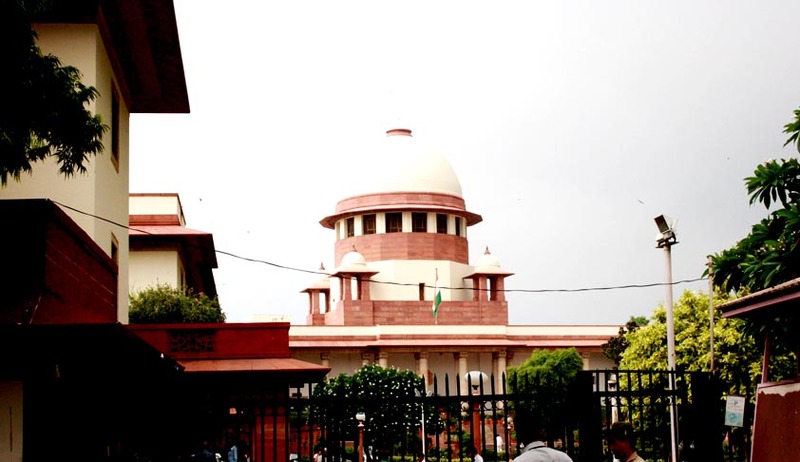 The Supreme Court, after evaluating nature and scope of power under Article 226 or Article 227 of Constitution of India, finally held that a writ petition can neither be entertained to decide the landlord-tenant dispute nor it is maintainable against a private individual to determine an intense dispute including the question whether one party harassing the other party. According to the Apex Court, the High Court, under Article 227, has the jurisdiction to ensure that all subordinate courts as well as statutory or quasi-judicial tribunals, exercise the powers vested in them within the bounds of their authority. The Court concludes that, if a suit is not maintainable it was well within the jurisdiction of the High Court to decide the same in appropriate proceedings but in no case power under Articles 226 and 227 of Constitution of India can be exercised to question a plaint. The judgment is delivered by justice Sudhansu Jyoti Mukhopadhya along with Justice S.A Bobde.